India celebrates April 05 of the year as National Maritime Day. The celebration goes for a week and 47th National Maritime Week celebration has started with the theme “Seafaring – A Career of Opportunities” as International Maritime Organisation (IMO) has declared this year as “2010: Year of the Seafarer”. On this occasion Capt.K.Vivekanand, Pro Vice-Chancellor of Vels University, Chennai has stated that in the next five years 1.98 lakh crew members and officers are required to man approximately 50,000 ships sailing around the world (as per estimates). On the occasion of inauguration of 47th National Maritime Week, the Minister of Shipping Shri G.K. Vasan pinned the first Merchant Navy Flag on the wearing apparel of the Prime Minister of India Dr. Manmohan Singh. Shri Mukul Roy, Minister of State for Shipping, Shri K. Mohandas, Secretary (Shipping), Capt. PVK Mohan, Chairman, National Shipping Board, Ms. Lakshmi Venkatachalam, Director General of Shipping, Shri S. Hajara, CMD, Shipping Corporation of India Ltd. and Shri Abdul Gani Serang, Secretary General, National Union of Seafarers of India were also present on the occasion. National maritime celebrations are weeklong celebrations, which culminate on 5 of April to commemorate the voyage of the first Indian Ship “S.S. Loyalty” from Mumbai to London on 5 April 1919. The National Maritime Day is celebrated every year on 5 April. 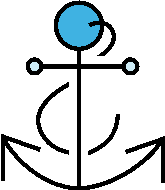 The theme for this year is “Seafaring – A Career of Opportunities” which complements International Maritime Organisation’s theme for the year “2010: Year of the Seafarer”. Historically, the National Welfare Board for Seafarers, a statutory body constituted under the Merchant Shipping Act, 1958, under the Chairmanship of the Union Minister of Transport, recommended at its Third Meeting held at Madras on 11th January, 1964 that the 5th April every year be celebrated as the National Maritime Day. It was on 5 April 1919 that the first Indian Steamship “S.S. LOYALTY” of M/s.Scindia Steam Navigation Co. Ltd., Mumbai, ventured into international water on her maiden voyage from Mumbai to London (UK). Several important maritime countries like U.S.A., Japan and Germany celebrate national Maritime Day. The principal objective of celebrating the Day is to enable the public to know more intimately about the activities of the Indian Shipping Industry and the important role it plays in the economy of the country. The need for shipping industry and the requirement of seafarers are highlighted in various. Shipping has been called as ‘Silent Service’ as most of the shipping activity takes place away from the land and along with country’s sea borders, i.e. at the ports. In the vast sub-continent of India, the public at large has very limited opportunities to opportunities to observe for themselves the yeoman service rendered by the Indian Shipping for the promotion of the economic well being of the country. The observance of the National Maritime Day has, therefore served in bringing the people closer to the shipping industry and enabling them to participate in the celebrations and to share in the sense of pride and achievement at the rapid strides made by the Indian Shipping during the last five decades since the attainment of independence. National martime day celebrations are held at all major ports viz. Mumbai, Kolkata, Chennai, Goa, Visakhapatnam and Cochin and certain other ports like Kandla, Jamnagar, Paradip, Mangalore, Tuticorin, Karwar, etc. It includes laying of wreath at Seamen’s Memorials and pay tributes homage to seamen who laid down their lives while on high seas in 1st and 2nd world wars. On Merchant Navy Flag Day at New Delhi 1st Merchant Navy Flag is pinned on the wearing apparel of the Prime Minister of India by the Minister for Shipping. This practice has been prevalent from 2002 onwards. At the State level on Merchant Navy Flag Day the first Miniature Merchant Navy Flag is pinned on the wearing apparel of the Governor of Maharashtra by the Director General of Shipping in Mumbai. Here are some photographs from Press Information Bureau. The Union Minister for Shipping, Shri G.K. Vasan pinned the first Merchant Navy Flag on the wearing apparel of the Prime Minister, Dr. Manmohan Singh, on this occasion at New Delhi on March 29. The Union Minister for Shipping, Shri G.K. Vasan is also presenting a memento to the Prime Minister, Dr. Manmohan Singh, on this occasion. The Minister of State for Shipping, Shri Mukul Roy, the Secretary (Shipping), Shri K. Mohandas and other dignitaries are also seen. To know when other countries celebrate their National Maritime Day, read When Nations Celebrate Maritime or Marine or Merchant Marine or Merchant Navy Day ? News source: Press Information Bureau.